Faculty of Medical, University of Muhammadiyah Sumatera Utara Deploying PORSENI-3 which held in 28 April to 5 May 2018. On Saturday, 5 May 2018 is the peak of the event PORSENI FK UMSU 2018 in the contents of the activities of solo vocal competitions and bazaars are in follow some lecturers, students, student organizations and sponsors. 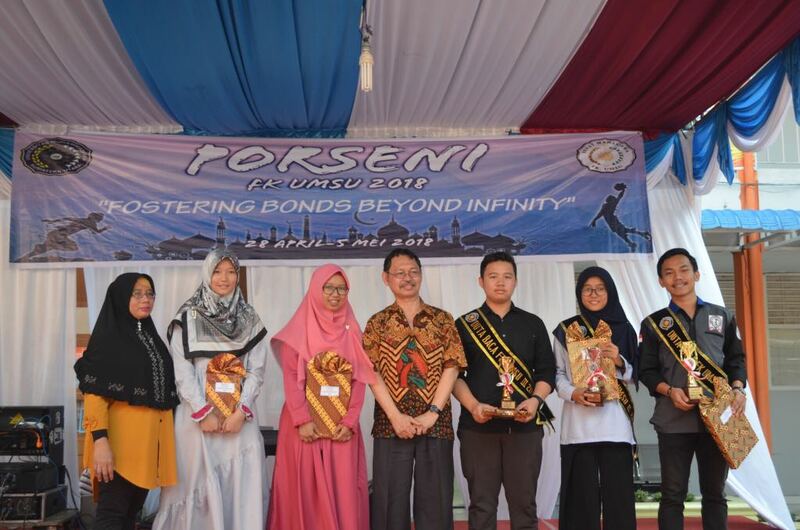 Dean of Faculty of Medical UMSU Prof. Dr. H. Gusbakti Rusip, M.Sc., PKK, AIFM closed the PORSENI 2018 event, handed trophies and medals to the winners of PORSENI and also gave sash to the winners of Reading Readers UMSU Medical Faculty.